Physics is the fundamental science discipline. Physics knowledge and models are used in many other subjects (chemistry, biology, geology, engineering, medicine). 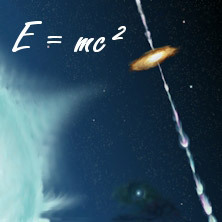 Advancements in physics have always contributed to technological progress in our society – e.g. in technology such as smartphones with touch screens and language recognition, the Internet and GPS. Physicists often provide the foundations for vital technologies, such as Nobel prize winner Charles Kuen Kao (fibre optics) and Herbert Kroemer/Zhores Alferov (semiconductor lasers). Cosmology has also recently given rise to fundamental questions. Apparently, we are only aware of a small fraction of the universe, the part of the universe we can 'see', while the major part (dark matter, dark energy) is still hidden. Research into this area is probably rather philosophical for the time being as we cannot expect any immediate usable results in the near future. Physicists will embark on new territory in this regard and develop new methods and techniques. You receive well-structured training in the foundations of physics and learn how to understand the relations between the individual sub-disciplines of physics. In the first few semesters, you can choose from a variety of elective modules (astronomy, chemistry, computer science, physical chemistry). In the specialisation phase you can also choose from many different subjects: astronomy and astroparticle physics, biophysics, physics of condensed matter, optics, theoretical physics. We have extensive, state-of-the-art, equipment in our laboratories and offer a unique practical laboratory project, in which you work on the theoretical and practical aspects of physical issues in small groups. Students receive excellent support from the lecturers and tutors in their physics modules. If you want to study physics then mathematics should be your 'working language'. Therefore, a major part of the first few semesters is devoted to mathematics. If you do not have any previous knowledge in mathematics and sciences the degree programme might be very difficult for you. You have to study by yourself and apply the methods you learn. In addition to attending lectures and laboratory courses, you have to prepare and revise the study contents by yourself to pass the examinations successfully. Working in small groups is also an effective learning strategy. The physics degree programme is currently free of admission (NC-free) and can only be started in the winter semester. Applications for enrollment are normally made between the beginning of June and the end of September online via www.campo.fau.de.